This is the first blog in a three-part series that launches IPR’s Behavioral Communications research program. Each post will focus on a different aspect of Behavioral Communications. In the early days of what we now call “public relations,” such founding thinkers as Edward Bernays called the practice an “applied social science.” The profession demands sound communication skills, client management skills, consultative and advisory experience, and creativity in both the execution of a tactic as well as in the higher-level conceptualization of a strategy. But often, we overlook the big effectiveness play of leveraging behavioral science in our communications planning. Understanding behavioral and brain research can help public relations professionals do the right thing more often, and can indeed help us do that right thing righter. Here’s why. When we approach public relations challenges such as changing perceptions, changing people’s minds on an issue, building engagement in climate change or changing behavior related to health, or restoring trust, we tend to gravitate toward intuitive solutions based on creative concepts. Yet we may be working on a false premise from the beginning (“doing the wrong thing righter”). Increasingly, behavioral and neuroscience research related to communications and decision making can better guide us into communications solutions that have a better chance of working. Humans are riddled with hundreds of cognitive biases that lead to irrational behavior. The entire field of behavioral economics describes these biases. The biases may be there for a good evolutionary reason. Scientists call our little intuitive shortcuts “heuristics.” But in many cases those heuristics are not the most effective approach and are stuck in our evolutionary past. Yet they are powerful and guide human perception and behavior. Effective communications means overcoming these many biases depends on first understanding them, then on how science is working to apply that understanding to communications tactics. Here’s a quick example. Recently I was part of a group addressing the United Nations on the topic of gender equality. Violence against women is a huge problem—not just in the lurid cases you may read about in far-off lands, but right across American college campuses as well. Yet if we embark on a communications tactic of pointing out how dangerously prevalent the problem is, and scold those who behave badly, behavioral science teaches us that will backfire. When we create an implied social norm (“hey, so many people are doing it”), we warp people into wanting to fit into that norm or at least accept it. Robert Cialidin’s experiments with everything from littering to putting your used towels back up on the hotel rack for another day—all prove the power of implied social norms. Yet if you didn’t understand that research, you might embark on a very creative approach to pointing out the pervasive dangers (“doing the wrong thing righter”). Dr. Terry Flynn and I are working together for the Institute for Public Relations to bring more behavioral science and neuroscience to the mainstream PR professionals so we can all become more effective. In some ways it is very new for our industry. In others, it is a return to our roots. You will find a three-part series coming via the IPR website to launch this initiative. The first begins with a gruesome 19th century accident, now famous in brain research circles that led to current neuroscientists discovering more about how humans make decisions. The findings are important because they point out why emotional communications work far better than purely rational communications. The second delves into why it is so difficult to change people’s minds and their perceptions. Once you understand that, you may completely change your communications approach. Current experts in both “confirmation bias” and in “narrative transport” will guide us to apply their findings in great story-rich PR. The third piece connects one of the greatest discoveries in brain science history to how we can better construct narratives to move people through the biochemical and neural roots of human empathy. 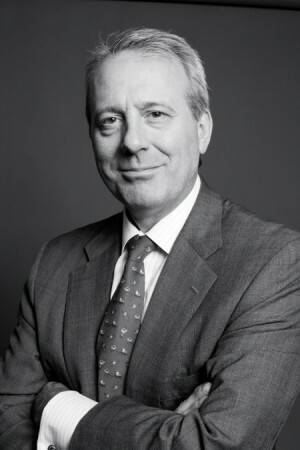 Christopher Graves is the Global Chairman of Ogilvy Public Relations, Chair of The PR Council and a Trustee for IPR. Very glad to see the IPR putting some psychology in PR. I very much look forward to your series of articles, Mr. Graves. As someone with a background in psychology I’m biased, of course, but it’s always seemed obvious to me that psychology is the foundation that PR is built upon. Good to see the Institute returning to the science beneath the art of public relations, which is psychology. I’m not sure you need to propose of new term, Behavioural Communication, to cover this body of knolwedge. The term is already used in psychology to refer to communication which takes place as a result of behaviour. For another source of information on the body of knowledge you’re referring to you might be interested in http://www.bx2015.org, the International Behavioural Insights Conference in London in early September, which involves Robert Cialdini, among leading thinkers and writers on this topic.